Whether you’re looking for a great chicken wing recipe for a family dinner or for the ultimate appetizer party, chicken wings are always a hit. 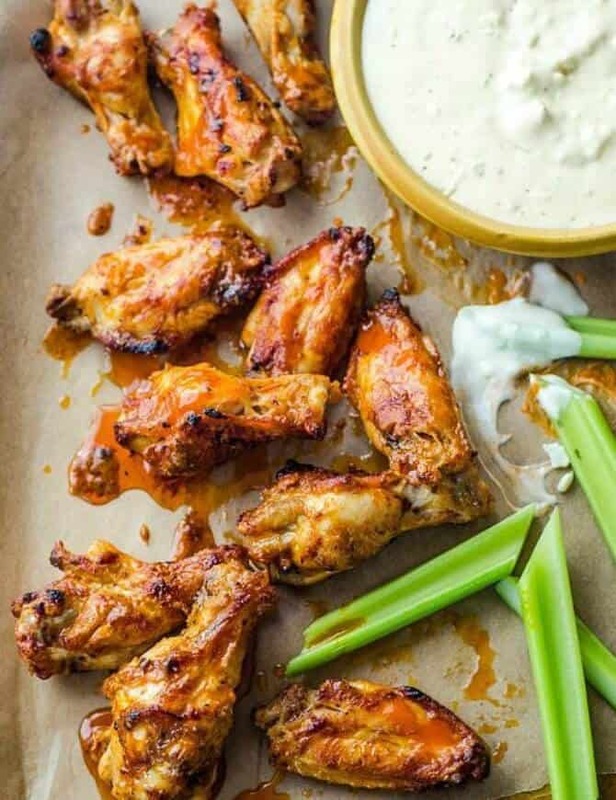 I’ve tested and tasted my fair share and like to think of myself as a seasoned consumer of all things wings, so I want to share the Ultimate Chicken Wing Recipes…in my opinion. The Thai Wing Sauce adds a little heat with chopped jalapenos and tang from the rice wine vinegar. 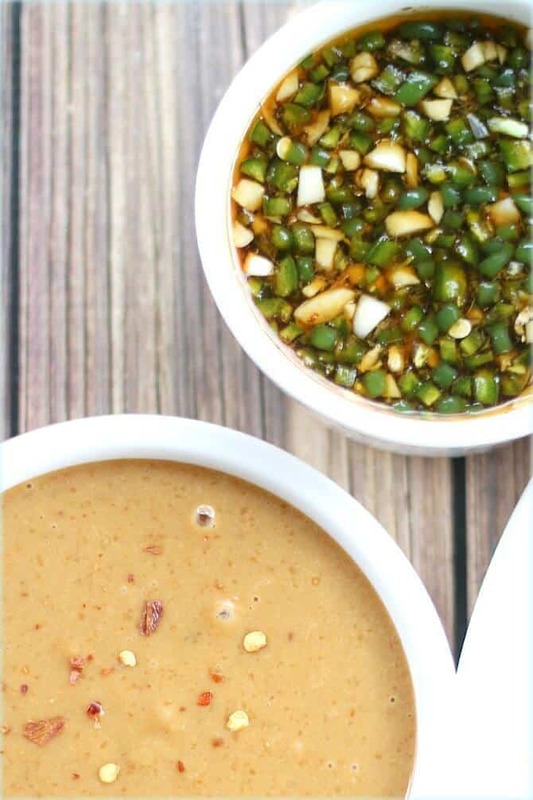 The Peanut Sauce combines fresh ginger, crushed red pepper and is made creamy with peanut butter and lime juice. 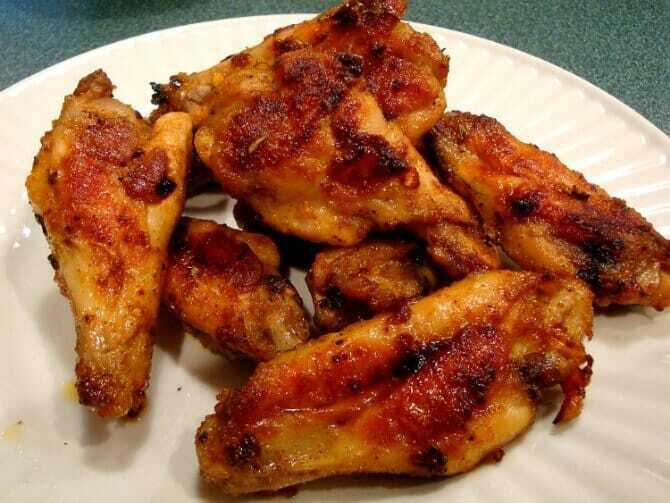 Cajun Spiced Chicken Wings is one of the earliest recipes I posted on Good Dinner Mom. 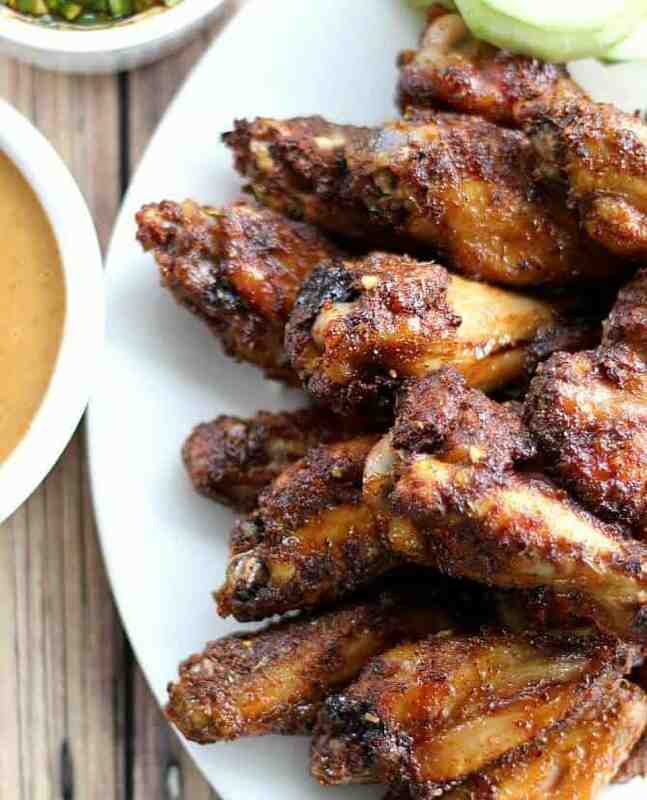 These are often a go-to Super Bowl wing recipe and we still love them today. 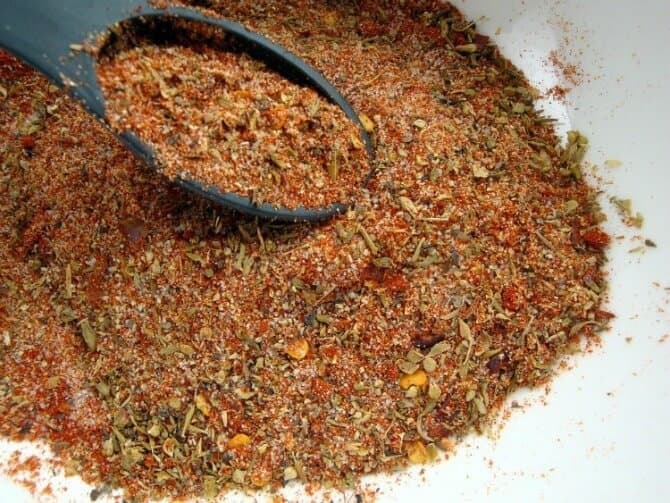 Incredibly easy especially if you mix together the Cajun Spice Rub ahead of time (I love to keep some in the pantry for sprinkling on everything from chicken tenders to cauliflower and then roasting). 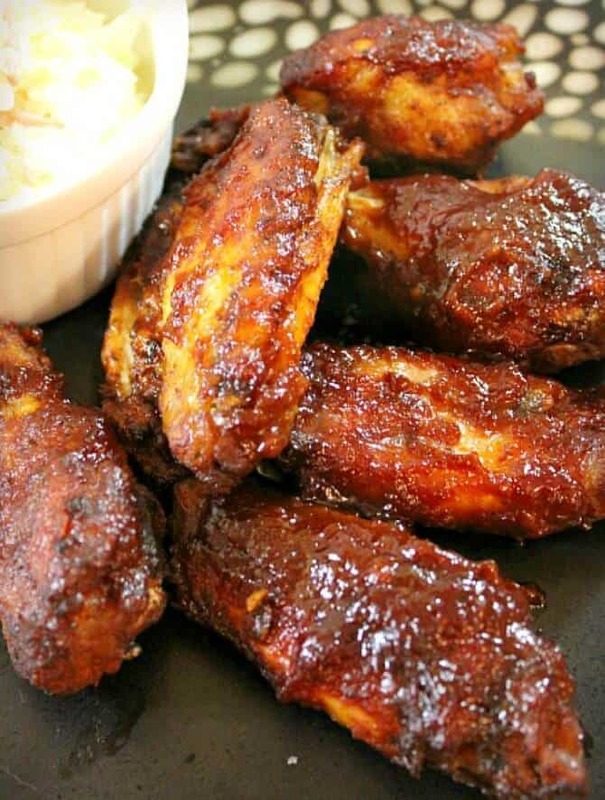 Slow Cooker Barbecue Chicken Wings are one of the most popular recipes on Good Dinner Mom, no matter what time of year. Recently featured on Today.com, these are famous in my family and with many of my friends. You can’t go wrong with this recipe. Shown below, this recipe for Caribbean Wings is super easy with the promise of delicious, moist flavor. 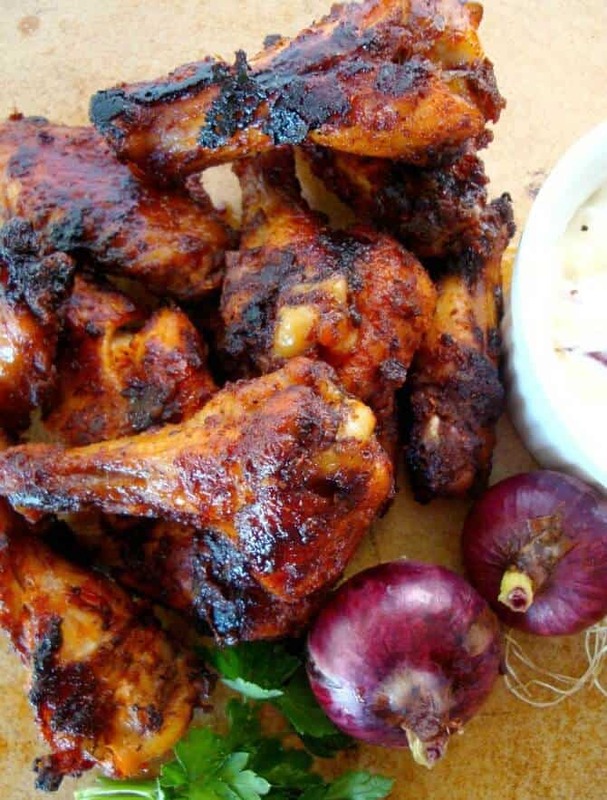 If you’re able to cook your wings on the grill, this recipe for Sweet Heat Roasted Chicken Wings will produce such tasty sweet, crunchy, mild heat, but you can also make them in the oven as I’ve done several times. When people think of chicken wings, almost everyone thinks Buffalo Wings. I’m pretty very picky about my Buffalo Wings and am still trying to duplicate what I consider the ‘world’s best’, made at one of my favorite local restaurant, Squatter’s Brew Pub, one of the best restaurants in Utah. The menu states they’re legendary (and rightly so). This recipe over at The Kitchn for Buffalo Chicken Wings in the Oven is amazingly easy and is part of their ‘cooking lessons’ so they offer step-by-step photos and directions. Give them a try. 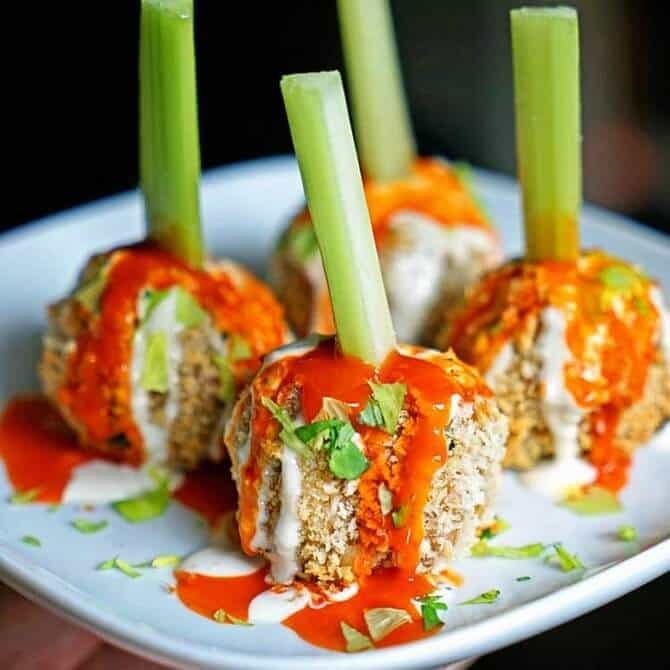 Crunchy Buffalo Chicken Meatballs with Bleu Cheese Drizzle and Hot Sauce are bound to be the show stopper at your party, I mean look at these! Ready in less than 30 minutes, and crunchy-delicious. They also happen to be over on one of my all-time favorite blogs made by my good friend Kevin at Kevin Is Cooking. 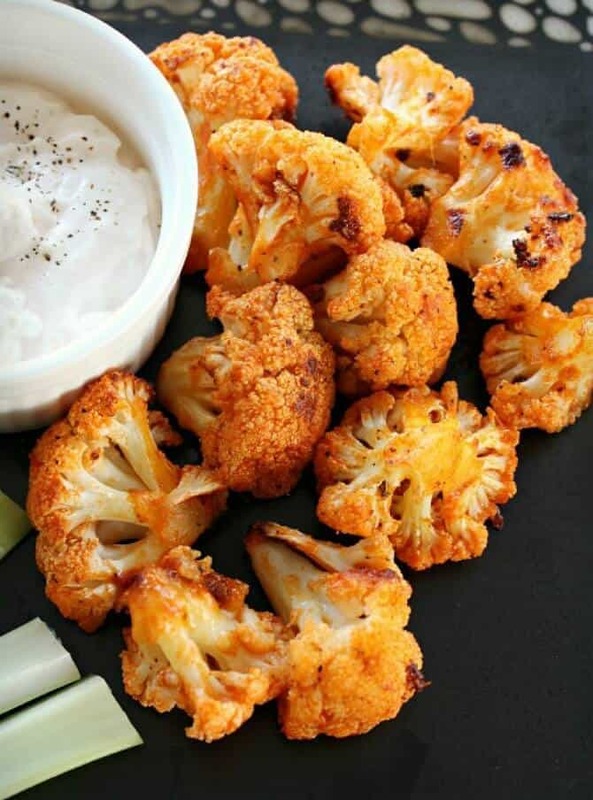 Last but not least and even though this next recipe is NOT chicken, Cauliflower Buffalo Bites will satisfy any of your vegetarian or vegan friends (leave out the butter for vegan) or even us Buffalo-Chicken-loving carnivores… I’ve made these more times than I can count and I have to be sure to serve them up right out of the oven because if they sit on the counter within reach for any amount of time, I’ll eat a good amount of more than my share before my family gets one taste. 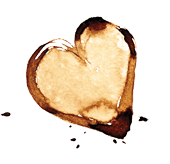 I hope you’ll be inspired to try one of these recipes and tell me what you think. If you have an ‘all time favorite’ chicken wing recipe, please be sure to share it with me, I’d love to hear from you. Well my dear, you know how much I love all your recipes. I seriously want to make everything you post. So thanks for letting me include such a creative recipe in my roundup. Hope you’re having a great Super Bowl with your family, as well.